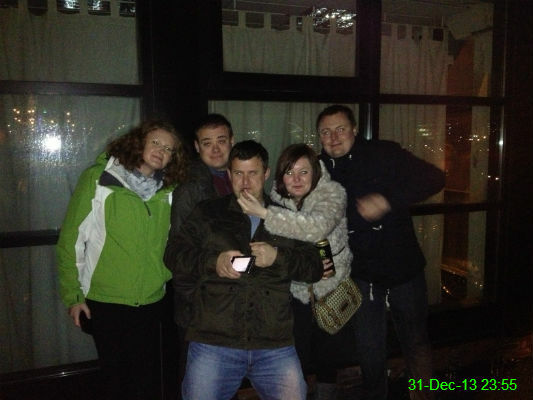 Catherine, Michael, Chris, James and Nicole near the Free Trade where we went to watch the midnight fireworks from the Quayside. 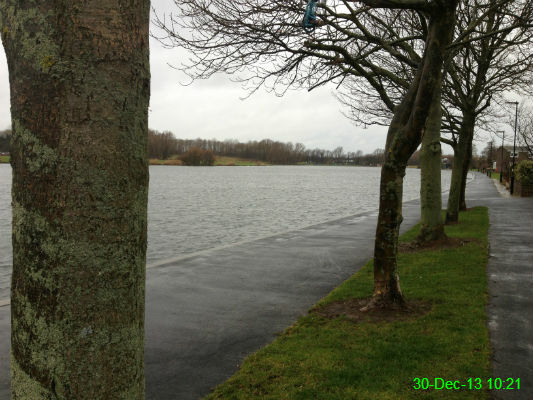 Killingworth Lake was looking somewhat grim this morning. 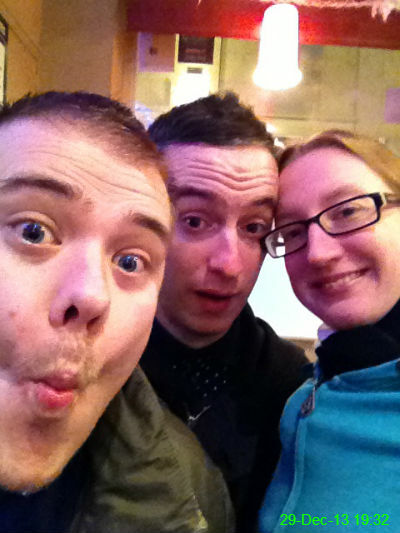 Michael, Matty and I had a curry and a few drinks after the last home match of the season (Newcastle lost 1-0 to Arsenal). This was during our last drink of the day in the Black Garter. 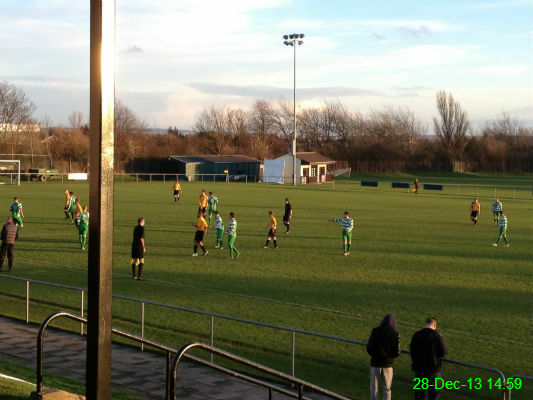 I thought the match on Boxing Day was cold, but this one was ten times worse! Celtic scored some very good goals and after the 3 mile walk home the feeling had just about returned to my toes. 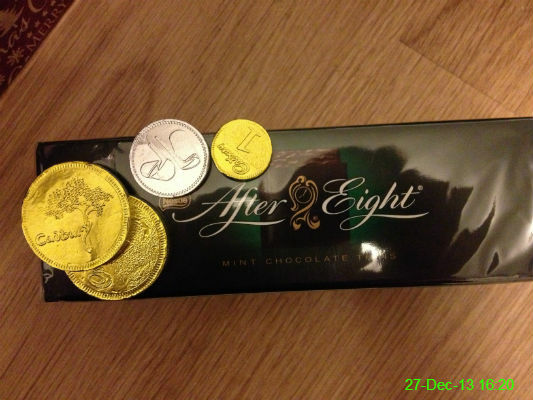 This is a small selection of the chocolates I received as presents this year. 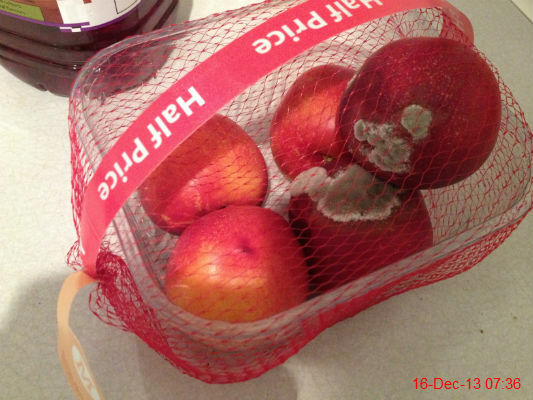 I don't expect they'll last much longer. We're hardly ever at home on Boxing Day, but this scoreline certainly made it worth venturing out into the cold! 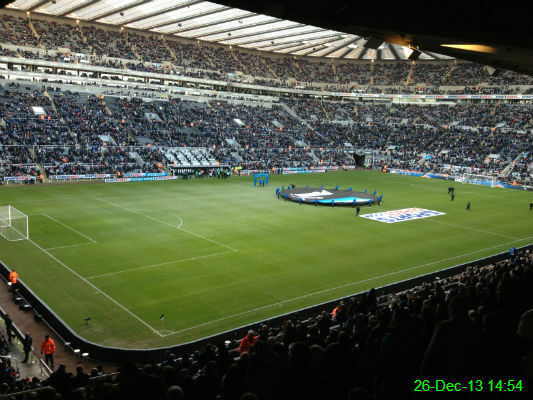 One of the highlights came when Newcastle were awarded a penalty at 4-1 and, at the crowd's request, Yohan Cabaye surrendered the ball to Papiss Cisse to score from the spot, as he hadn't made it onto the scoresheet for quite a while. 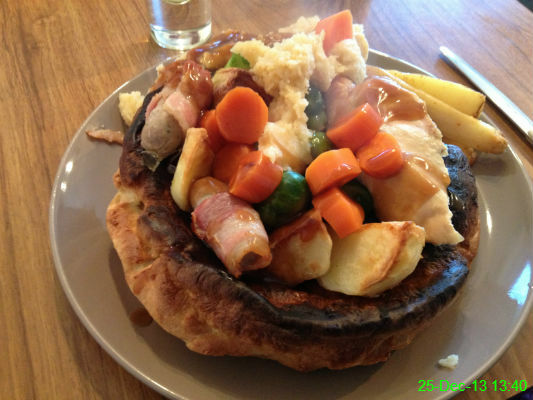 We stayed home for dinner this year and cooked giant Yorkshire puddings with chicken breast and all the usual trimmings. It was pretty substantial, but naturally there was still room for plenty Buck's Fizz. 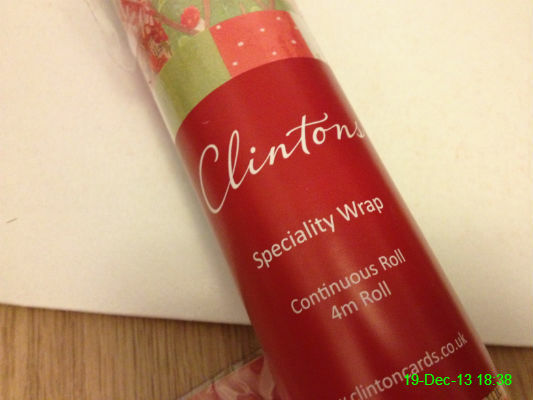 24 December 2013: Star of... George? 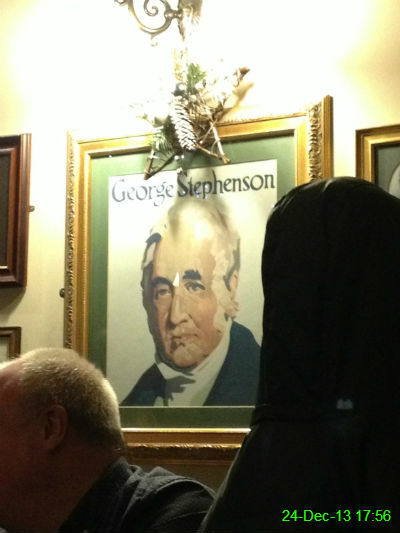 I went for a few Christmas Eve drinks in the George Stephenson with Ali and Michael. It doesn't look like George was feeling very festive, despite the decorations. 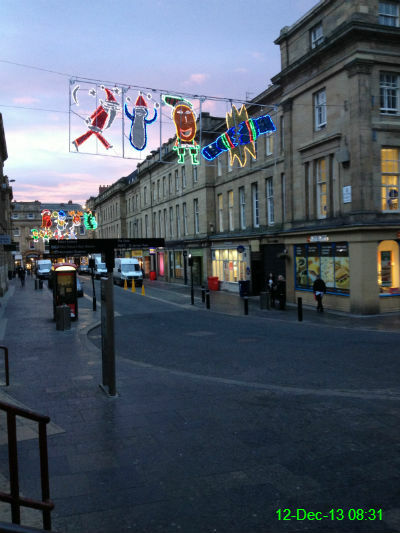 Since most of the rest of the city seems to have finished work for Christmas the roads were quiet this morning, which meant I was 50 minutes early for work. 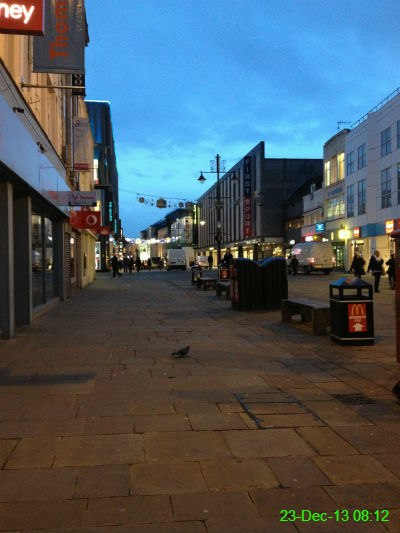 I killed time with a walk down Northumberland Street, feeling extremely smug that my Christmas shopping is finished and I don't have to buy anything at the last minute. 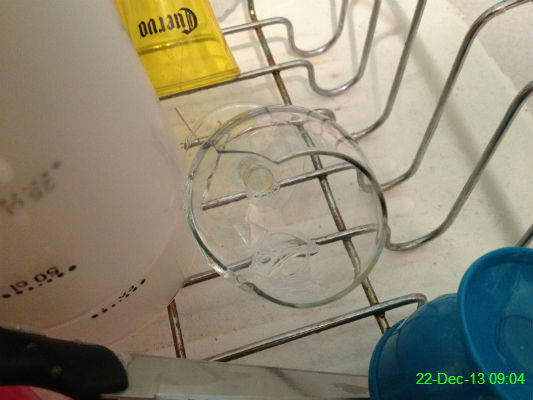 This poor little brandy glass survived Friday night's party but I managed to kill it with clumsiness today. 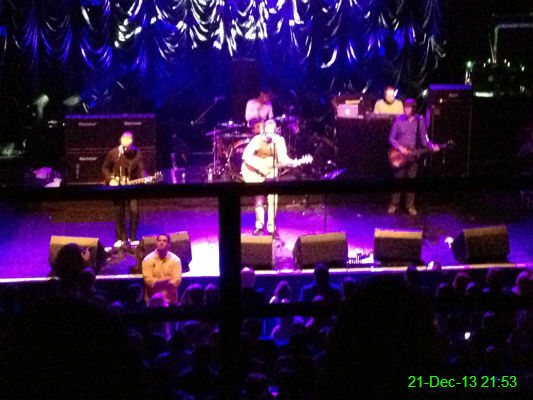 It's not often I sit down at a gig but the balcony was the only place left with available tickets. Maybe I'm getting old, but it was nice to be able to relax and not have people knocking into me constantly. The band themselves were spot on too! 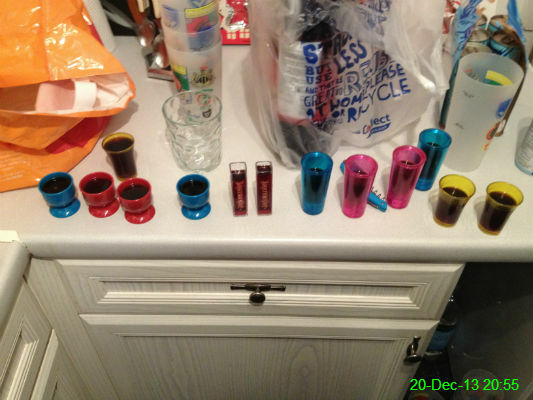 We had a party to celebrate Michael's birthday so we had to dig out everything remotely resembling a shot glass so that everyone who wanted one could have a shot of Jägermeister.. or two. With my Christmas shopping finished it's time for my annual battle with the wrapping paper and some increasingly blunt scissors. 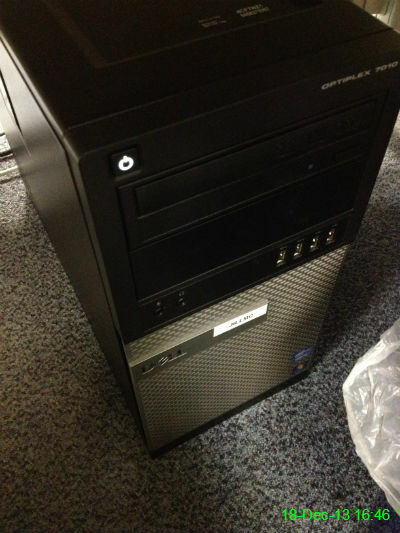 We're all getting new computers at work and mine arrived today so I spent the afternoon getting used to it. 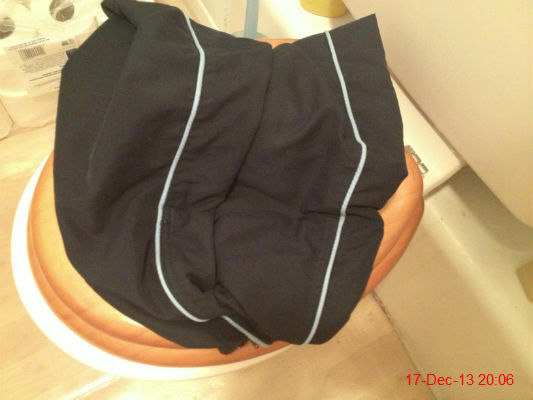 This may just look like a pair of tracksuit bottoms on a toilet seat, but it's actually a very sophisticated ledge to rest my phone on so that I can watch things on Netflix while I'm in the bath. I find that episodes of It's Always Sunny in Philadelphia work perfectly for this. This was a bad start to the working week. No wonder they were half price. 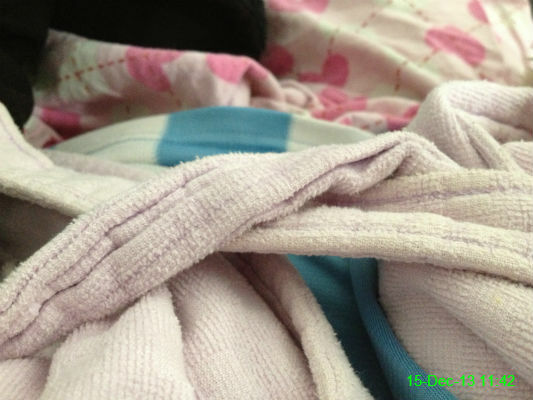 At the time of taking this photo I thought tightening the knot in my dressing gown would be the most strenuous thing I did today. That actually turned out not to be the case.. I went to the shop for chocolate! 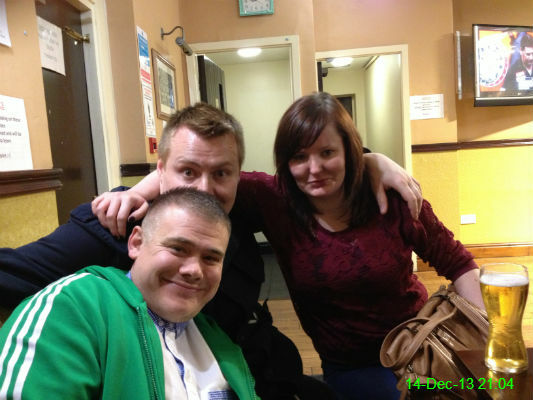 Michael, James and Nicole look surprisingly upbeat for a group of people who have found themselves drinking along Shields Road in Byker. Thankfully, this pub was the last before heading home for some food. 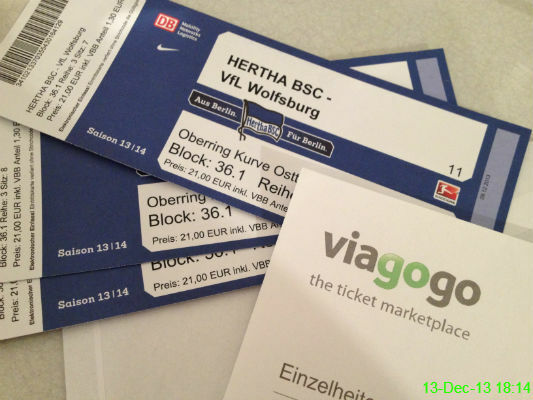 Our tickets for Hertha BSC v Wolfsburg in February have arrived. I celebrated by watching them beat Werder Bremen 3-2 on BT Sport tonight. 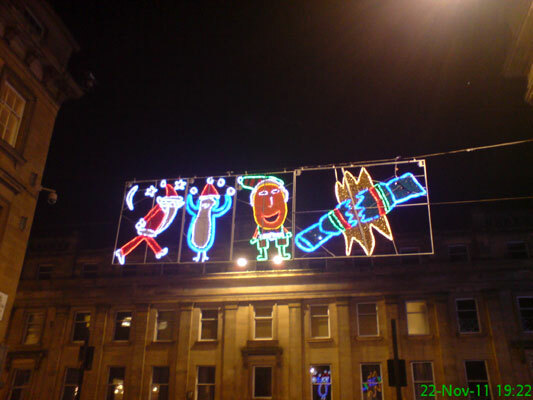 I've taken a photo of these lights before (see?) but they actually look a bit nicer with the remnants of a gorgeous sunrise in the sky behind them. 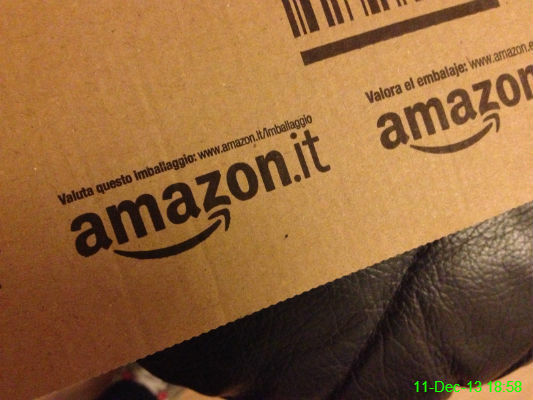 I wasn't expecting this delivery from Amazon to fit through the letterbox so I was very pleased to see this box when I got home! The gym has some new weights, which is excellent to see. 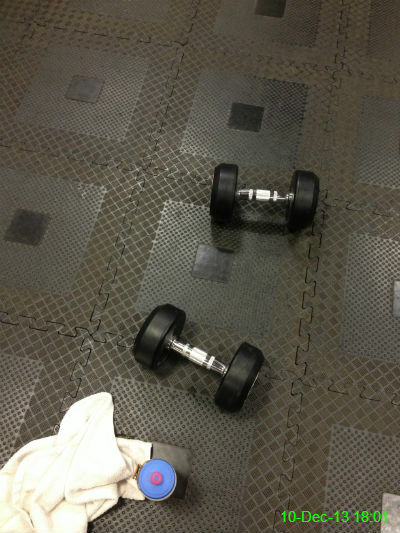 Today was leg day, so I used these for some lunges. 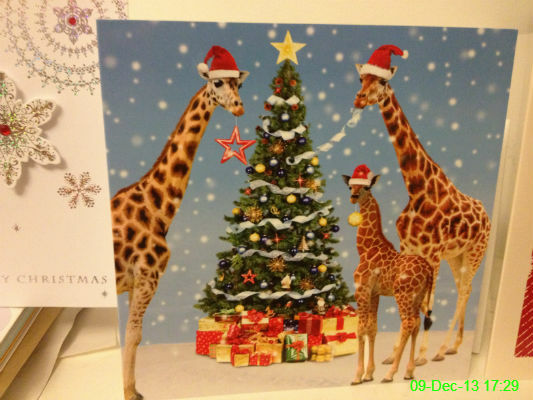 Since I love giraffes, this was an excellent choice of Christmas card from Mam and Chris. 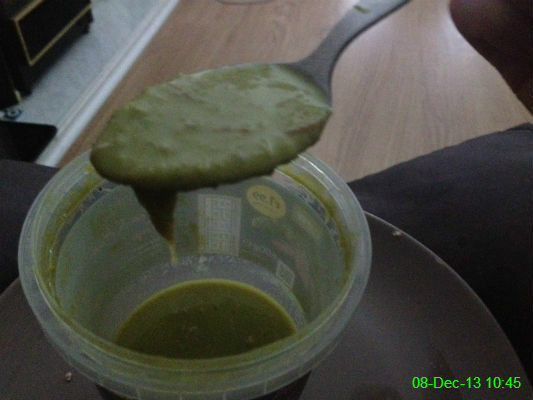 A weird choice for breakfast, but I love pea and ham soup. 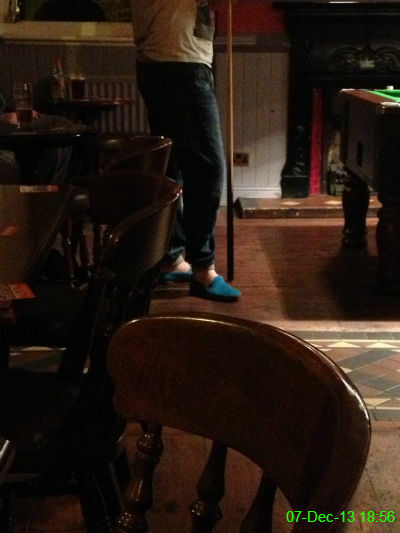 I know I'm not exactly au fait with the latest fashion, but this is a combination of trouser and footwear styles that I absolutely despise. 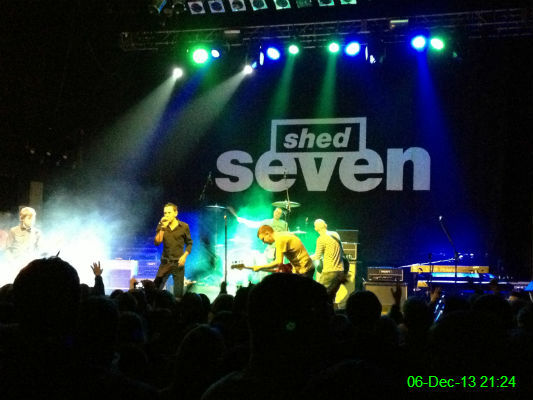 I love a bit of 90s music so it was great to see Shed Seven at Newcastle Academy. 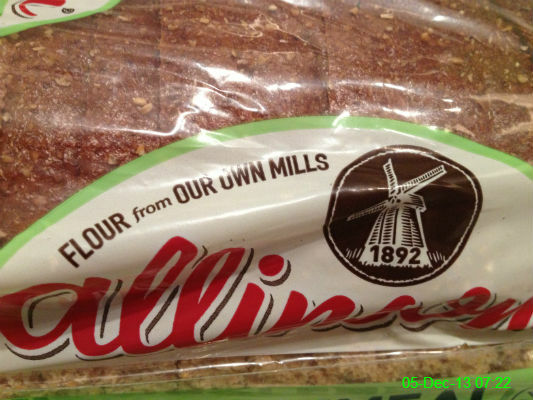 Allinson is my current bread choice. I'm sure their mills are lovely. 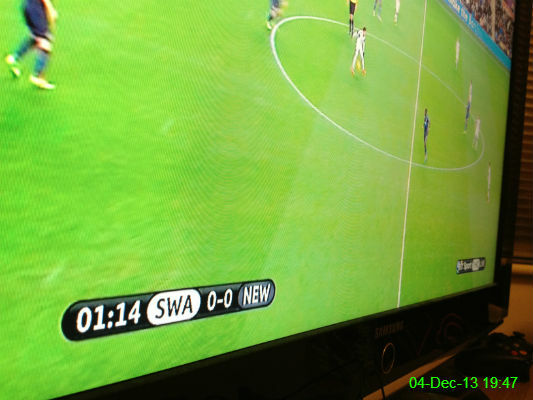 The scoreline only got worse from here as Newcastle lost 3-0 at Swansea. At least it was on BT Sport so I could watch the mauling from the comfort of my own living room. 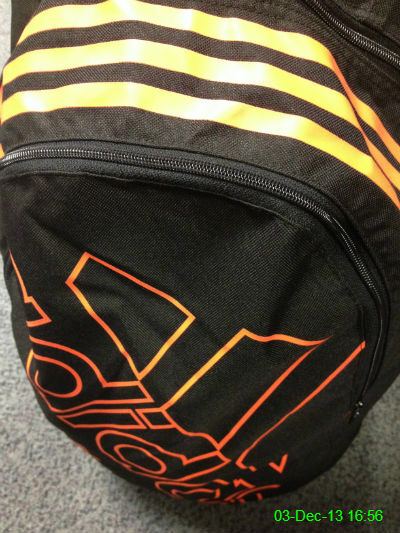 There weren't many suitable choices for a new gym bag when I went shopping last week so I ended up with this extremely bright one. 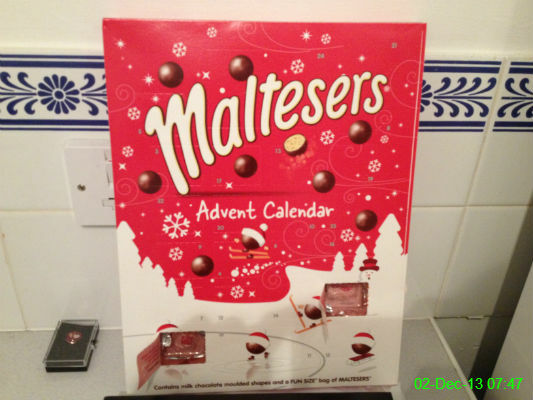 This year I have a Maltesers advent calendar. 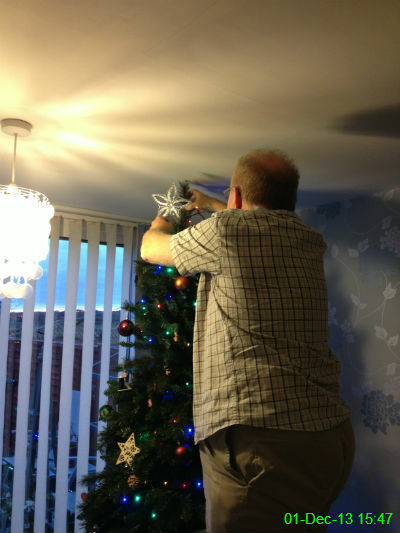 I helped out Mam and Chris by hanging some decorations on their Christmas tree, and Chris added the finishing touch.